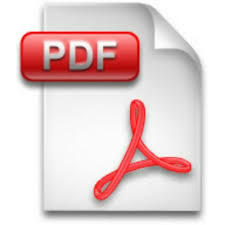 Computing tip of the day (these tips are for beginners): Converting a PDF to a Word document. Fortunately, there are several free utilities that allow you to convert a PDF to a Microsoft Word document for Free. Of course, you can usually do this if you have a full version of Adobe Acrobat. However, I was working with a password-protected PDF that I had to convert to a Word doc. I didn't create the PDF and I don't have the password, so Adobe Acrobat didn't let me convert it. What did I do? I tried 2 different methods. The first was a free utility found at hellopdf.com. I installed it on my PC. The second method was to upload the document to several sites that converted the file for me. What were the results? Well, this document had some strange formatting. Although I have all the text and images, I'm going to need someone to spend some time cleaning this up. Did you also try OpenOffice.org?